Like most of the Mac community, I was stoked to see that Apple was (finally!) updating iLife. But my pleasure soon morphed into disappointment upon learning that iWeb was not included beyond maybe some-back end fixes (version 3.0.2 was released in September) to make it compatible with the other shiny, updated apps included in the iLife ’11 suite. I know I'm not alone in responding: Say what? Don't get me wrong. I'm happy to see new features in iPhoto, iMovie, and GarageBand. But iWeb, the last app added to the suite in 2006, had formed the cornerstone—the hub's hub, if you will—for all the others, a way to merge their creations into a coherent online whole. And now…nothing. To the many iWeb users who awaited an update with great anticipation, the announcement was a letdown. No new themes, no new widgets, no revamped interface, no new features, no nothing. Not that this sort of move is unprecedented. 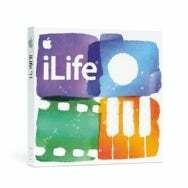 Apple has ignored iDVD (also part of iLife, though you'd never know it) for years under the theory that everyone has moved to the Web and pretty much stopped burning DVDs of their movies. Some would argue with that logic. But whatever would be the rationale behind ignoring iWeb? There are more Websites online now than ever. And despite iWeb’s considerable issues, it’s still a great app for the consumer audience it was intended to serve. And there’s plenty of enthusiasm around iWeb—just note the constant stream of new templates for it, for example. It’s not like iWeb is anywhere near perfect, either—users have expressed manifold frustrations with it over the years. Nonetheless, many are eager to stick with its ease of use and stellar designs, and have been clamoring for new features, expanded capabilities, and an updated interface. Apple, in typical fashion, is mum on the subject. But this silence—the company even removed the pictorial reference to the Web builder from the new box—leads me to wonder whether Apple has simply given up on the Web design hub it created for the rest of us, letting it slouch down the iDVD path to near, but not total oblivion. I hope that proves not to be the case.